I want to know the truth about the issue of the pesticide complaints in Hawaii so I decided to review the raw data myself to see. I made a request in the interest of public information to the Hawaii Department of Agriculture. I looked for complaints across the state in zip codes where many of the farms targeted are located from 2010 to 2015 to see what the truth really is. So what did I find? I found a total of 365 complaints made. If you listened to the Center for Food Safety, you’d think all of them are agriculture related. It turns out that there were 91 out of that 365 being agriculture related. A total of 38 came from Kauai alone. And that number doesn’t equate to any violations either. Pesticide complaints by island. Note that after 2011 on Maui county there were no complaints made. So is agriculture the sole source of the pesticide complaints? Let’s see what the data says comparing total complaints to agriculture. As you can see, the agricultural sector only makes up a small number of the complaints compared to other uses. These complaints don’t always mean there’s a true issue either. And if so, are we really addressing the real problem? It’s of no surprise that Kauai County Council Member, Gary Hooser, just published his op-ed on the Good Neighbor Program being faulty and trying to point his fingers at a certain pesticide, chlorpyrifos. He fails to mention that homeowners used to be able to purchase this effective crop protection product prior to it becoming restricted in 2001. There’s also evidence that some residues do remain in the home but again, it doesn’t mean it’s at a level to be concerned about. So while Hooser tells people that the residues found in homes are from farms, there’s a high likelihood it could be other sources that he fails to mention to them. It’s still used in agriculture for citrus, almonds, and other crops that he also fails to mention. It’s also the prime target of of Earthjustice’s litigation to have the EPA ban it. So Gary tells the Kauai folks that farms are to blame for this pesticide but fails to tell the entire story to them making them repeat things that can easily be challenged. Gary is right in some aspect that we should have a good neighbor program and it means starting with your own neighbors learning how to use those pesticides properly through education. He conveniently ignores this and goes on to target the farms once again to fan more fears in the community. He makes no statement of the real problem as he’s counting on the masses to just believe his word and not seek the truth. Don’t be caught making an unfounded statement and have it called out. The community getting hit by this is the North Shore of Oahu, where agriculture is still a big component of the landscape there. I learned that even a principal of an elementary school there was accused of poisoning kids by a parent who resorted to yelling at him in front of kids. There’s something wrong when parents are so fear mongered that they can’t even keep their behaviors in check around kids at a school. What kind of example does this set for these kids? This person continues to video farms and make accusations of him being sprayed and yet he stands there nearly a football field away stating that. If you were so scared of being poisoned, why stay and why even stand there videoing all of this? Why even move there to begin with? I’ve also learned from farmers that they still get complaints of pesticide spraying that are unfounded. When working outside, some people think that any spray is a pesticide and have called the police on those farmers, especially those who live in ag land between homes. They get to have a friendly visit from a policeman of the complaint. How much time and effort is wasted by these kinds of baseless complaints? The new year is right around the corner and I’m hoping that the data will be loud and clear to our legislators and other politicians. The public deserves wise use of our resources and not have burned away by outside activists trying to divide communities and disinform people. It cost families’ relationships on Kauai, Molokai, and Maui. It cost taxpayers tens of thousands of dollars to have hearings that were chockful of mantras from unvetted websites and psuedoscientists like Jeffrey Smith. All of this time and money could’ve been used to get someone off of drugs, take care an isolated kupuna, or give a kid a meaningful recreation program. There are so many people in need in our communities and so many REAL problems that need addressing. Just look around and it’s clear where our resources need to go. We, the public, deserve better management of our community pot. It’s time for our LEADERS to lead with evidence based policies and not whims of conspiracies lingering from the last 3 years. The farmers have to farm and we want to. We are tired of defending our work and have to focus on growing Hawaii. Come learn from a farmer and see it for yourself the truth. Let’s make it a better new year and heal the divide in our communities. Our keiki deserve that for their future. We have to lead and encourage learning for them and end the attitude of A’ole everything. That’s the real investment we need to start with and it begins NOW! The new year is right around the corner and I am hoping that this year will be a better year than the last. With what I’ve learned at Cornell during my Alliance for Science fellowship, I have even more hope for the future. Many people are wondering what in the world could I have spent the last 12 weeks in Ithaca doing. I can tell you that I learned a tremendous amount of information that if I listed it all, it would take hours on end to put it all down. I’ll do the top 5 things that I took away from my experience at Cornell. 1) We eat science every single day. After touring a day at the Geneva USDA Research Center, I have a newfound appreciation of the food we eat. Before going to Cornell, I’d simply look at an apple in the market and bag it then later eat it. After being able to try wild apples the size of a pea to a deep red flesh one, I am amazed of how we get the amazing array of foods in the stores. Those delicious Honeycrisp apples are a product of at least a dozen years of studying the genome of various crosses and development. 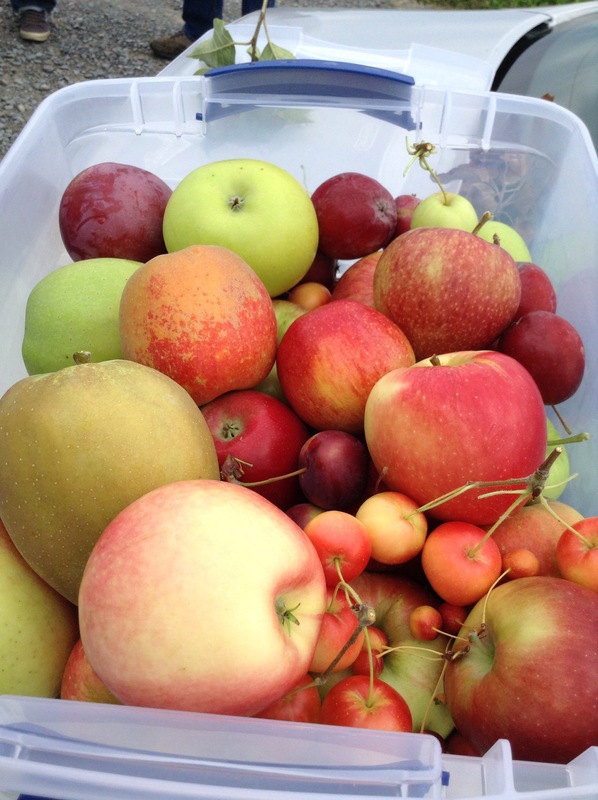 An apple, as well as any other food we eat, is a huge product of science. 2) Publicly funded biotech research is happening worldwide even though we never hear it. There are countries across the globe conducting research to develop a variety of crops in the public sector. From Bt cowpea to wilt resistant bananas, the research is happening to help small farmers around the world grow their crops. The cries of the anti-biotech activists stating that the world doesn’t want GMOs is completely false. There are real problems facing major crops around the world and biotech is a tool to help address these problems. To claim that the multinational agrochemical corporations are trying to take over the food supply is patently false if countries like Nigeria and Bangladesh have their own research entities creating these innovations. 3) The anti-biotech activism uses people’s deepest fears and tailors it to the locale. In Hawaii, the activists attempted to fear monger on GMOs but failed and decided to go after pesticides. However, in developing countries, there are substances used that we have banned here so they don’t mention pesticides. That is reserved for the wealthy countries with lots of food and far from the farm. Instead they go with claims that GM food make people gay or infertile. Wild claims that once again create fear and hysteria is their specialty. 4) There are wonderful scientists in the world doing great things for their country that can’t get it out to their farmers. 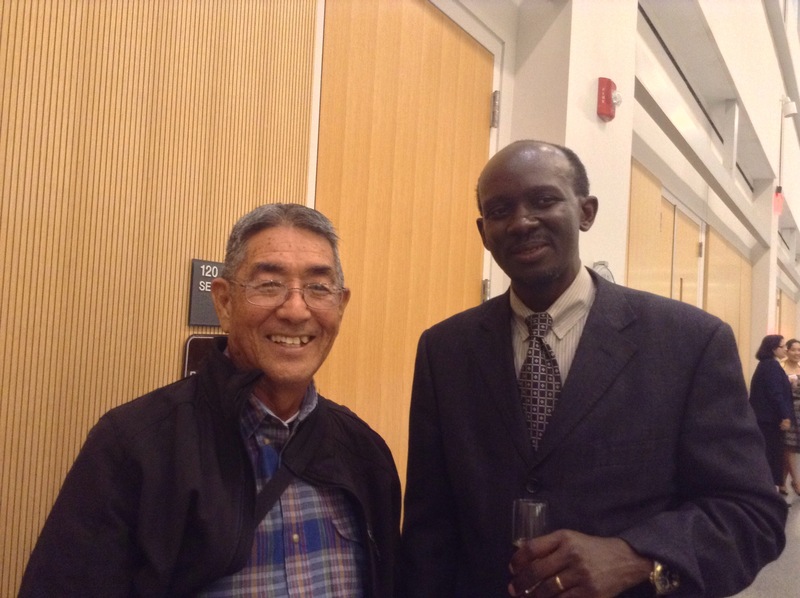 I had the fortunate chance to meet Clet Wandui Masiga of Uganda, who is not only a scientist and a farmer. He has seen firsthand how improved seeds can make a world of a difference for his fellow small farmers. Farming in his country faces many challenges and devastation from crop failure affects a large sector of the population since nearly 60-70% are involved in agriculture. For us as modern day urbanites relying on Google for learning ag technology to tell an African farmer he can’t have improved seeds is misguided. We don’t live their lives to know what is best for them but too many have made it their life’s mission. 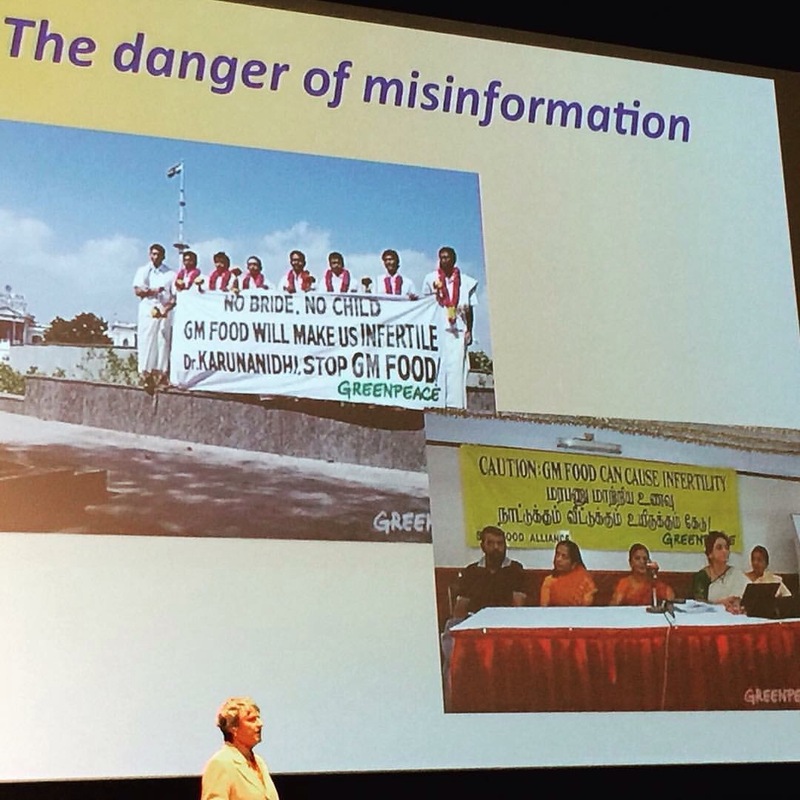 It was sad to see the angry activists at the Alliance for Science Ask me Anything event telling a fellow from Ghana, “If you accept GMOs, you’re allowing Monsanto to colonize Africa!” If anything is colonizing these countries, it’s their infectious misinformation that is cause real harm. 5) No matter where we are in the world, we share a common bond. We are wanting a better future for our children. The best way to achieve this is through using the best information we have. By asking questions and studying the issue, we can develop better ways of doing things. It’s using the process called science to continually learn and understand our world better. There is knowledge there that we are building upon through those who learned before us. Like my dad teaching my brother to farm and now looking at my son’s future, we share hope that the next generation can continue a family legacy or a cultural practice. Knowing our roots and passing on knowledge is how we perpetuate our values in our children. Transient social media activism will not continue those familial bonds or teach life lessons. My life has changed after this experience and it really given me clearer picture of the Hawaii I want for the future. 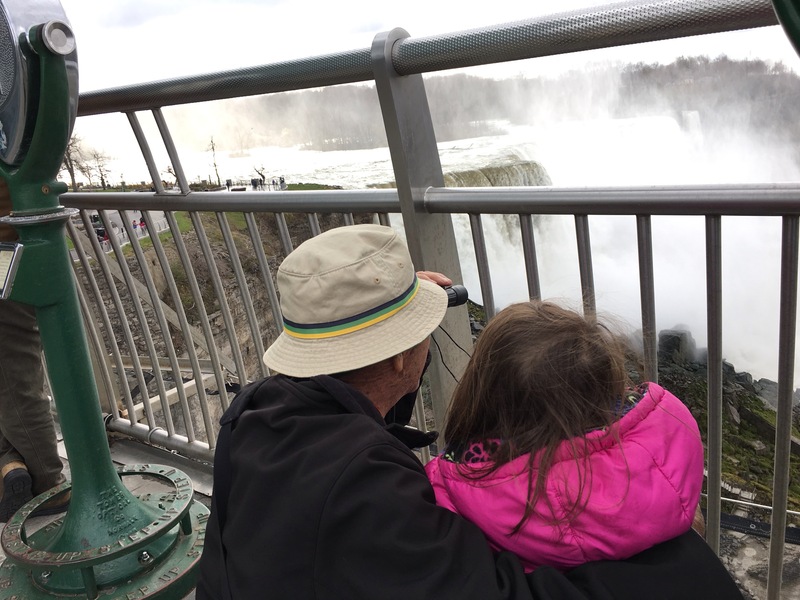 We can sustain our families by continually learning and figuring out how to adapt to our ever changing world. The world is not black and white and we must seek collaboration. We can’t take away the very thing that gives us life. That is how we must move forward for the sake of our children. As an occupational therapist, we are trained on empathy for others. We go through simulations of what it is like to have a disability. Sometimes it means spending a day in a wheelchair or using crutches. Other times it may mean wearing Vaseline covered glasses and stuffing one’s ears with cotton balls to simulate a vision and hearing impairment. For students, this is temporary and silly in many ways. We easily forget what it’s like to be permanently affected by these deficits. As I listen to the song, “The War is Over,” I am reminded of the feelings of compassion and love that the holidays emphasize. While many holiday songs remind of us of this special times, I have to reflect on whether we are actually living big those emotions in action. Many of us are thinking about the holidays with shopping and activities, the world news reminds me of the grim reality that others in the world face. They aren’t as lucky as us. Some face nothing to eat or no roof over their head. Young children are living in fear and confusion because of factors beyond their control. What kind of lasting impact will this have on them? The research already shows that long term stress on parents and children can have a negative impact on them. What kind of adults will they become if life has treated these innocent children so poorly? If they have no hope, what can they aspire to become when the world has treated them with discrimination that they don’t even understand? If I were in the shoes of a Syrian mom, I’d be pleading for compassion for my children. We all want the best for our children regardless of where we are in this world. I am deeply saddened by the reactionary social media commentary coming from “leaders” of our land. The amount of shortsighted thinking about this issue is disheartening. We all want a world of peace so that our children will avoid facing wars but the knee jerk political decisions being made can be leading us to future battles. Taking away technology for feeding a growing population can contribute to instability and unrest. Denying children access to nutritious food can limit their ability to meet their highest functioning capacity to be productive citizens. Allowing families to be in constant danger and living in fear can create future problems with growing up in an insecure environment. Are we fostering peace by the stand we are taking or are we further jeopardizing our own future? The social media encourages quick, impulsive decisions, however, our lives can’t be sustained with constant reactionary stances. We have to think about the future and the lasting impact what we are asking for entails. Our children are long term investments of hope for a better future. What about the children of the world? Don’t they deserve the same? When your humming those Christmas songs in your car, start listening to the lyrics and ask yourself if you’re living the words you sing. I want a world of compassion and empathy for others as well as my children. Isn’t that what we all deserve?